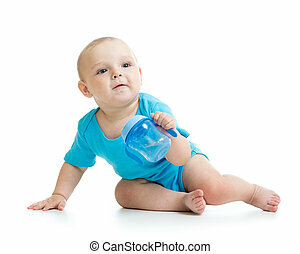 Baby boy eating from milk bottle. 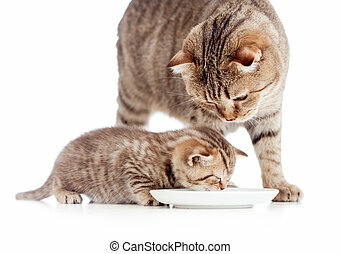 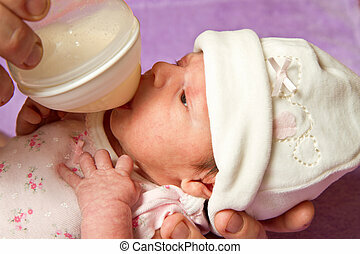 Mother feeding baby with a milk bottle. 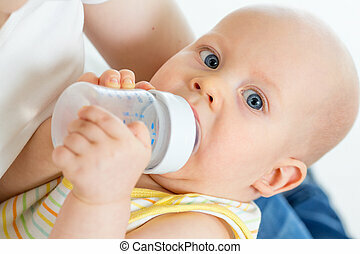 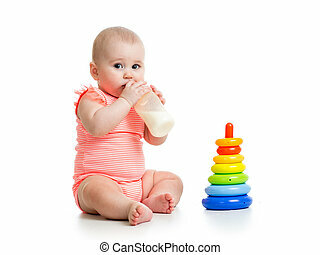 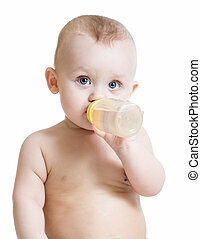 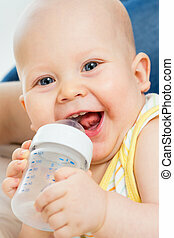 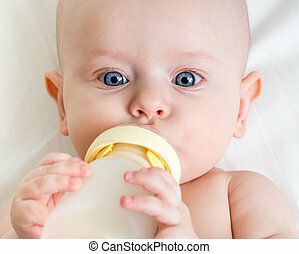 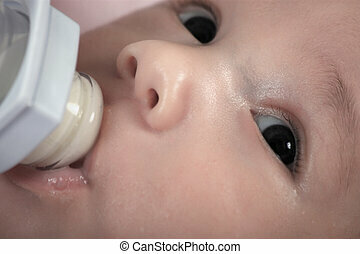 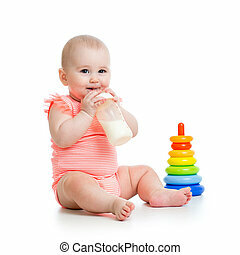 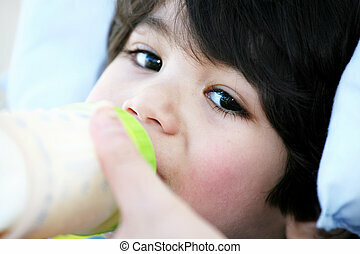 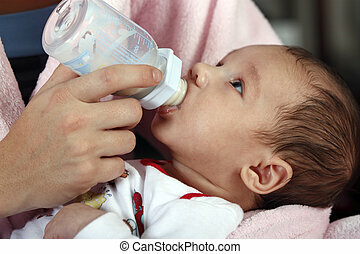 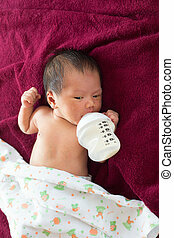 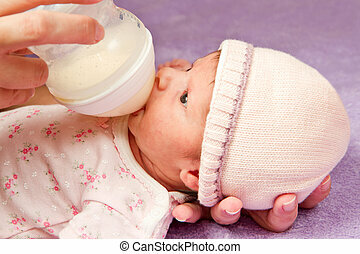 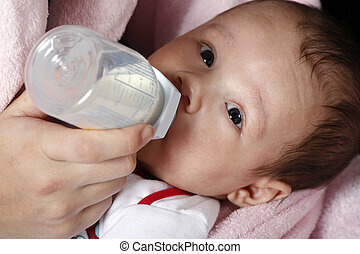 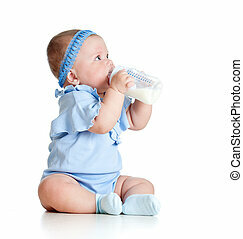 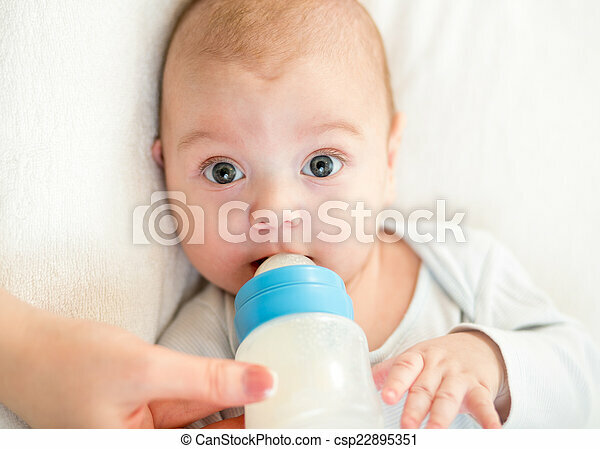 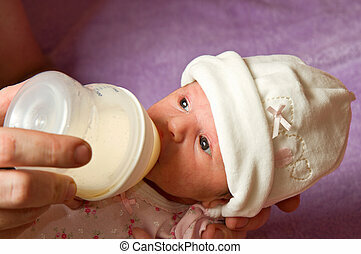 Newborn baby infant eating milk from bottle.